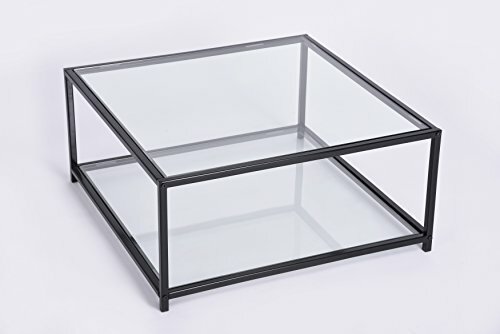 This Black Finish Frame Glass Top and Bottom Square Coffee Table is a great addition to your home decor. Features 2-tier of displaying. Dimensions: 16.5 inches high x 32 inches long x 32 inches deep. Assembly required.